Trying to pace myself with work and outings because the near future of September beholds a whole assortment of happenings, visits, and general busyness…all good though! The weather has still been pleasant and we are now at 35 days without rain of any kind. I call that a miracle, my garden calls that (and me) a misery. At least I have now had a good bowlful of pole beans and a handful of deliciously sweet cherry tomatoes to not call it a complete failure. Failure, no. Lesson learned, absolutely. I don’t know if it is real or just the foreboding anticipation of college football season that just seems like it has already turned to fall here. I did get out this week on Tuesday to go see friend Marieke perform with the Roy Kay Trio at the fun and dingy Little Red Hen in Green Lake. We listened to her Patsy Cline-esque swinging tunes and we got a few drinks. Wednesday I scored big with four pretty dresses from Express, which at first I figured I would return two (they were having a buy one get one 50% on top of another coupon deal I had), but now don’t see that happening. Woops. I have been feeding myself and others leftover delicious ribs like it is my job, along with corn muffins, corn on the cob and coleslaw all week from the company picnic so the Japonessa sushi lunch my coworker Andy treated Amy and myself to for all of our dedicated work on the QC process was a great treat on Thursday. Hadn’t been to Japonessa in a while and forgot how busy they get for their all day happy hour. I stuck with their tried and true miso soup, green salad, and the Super Bad Boy Roll (sans cream cheese). It was all delicious but I am still thinking about the meal I had at Maru a few months back. I guess Japonessa gets bonus points for their prices on all happy hour items. 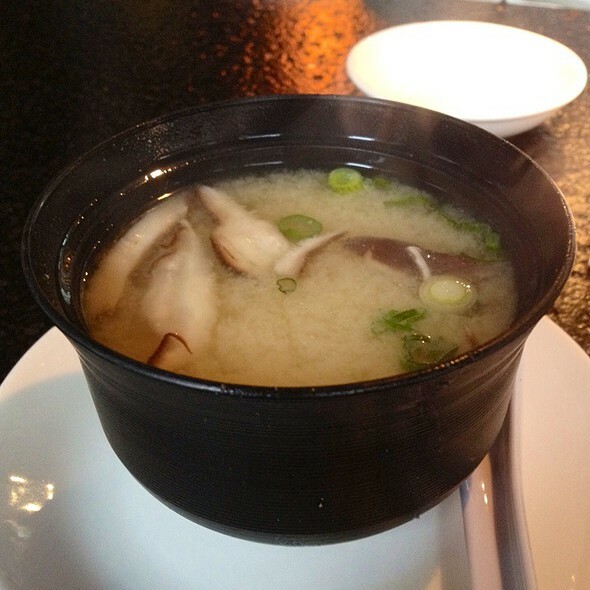 I really like Japonessa’s $1 miso soup with lots of mushrooms and soft tofu. 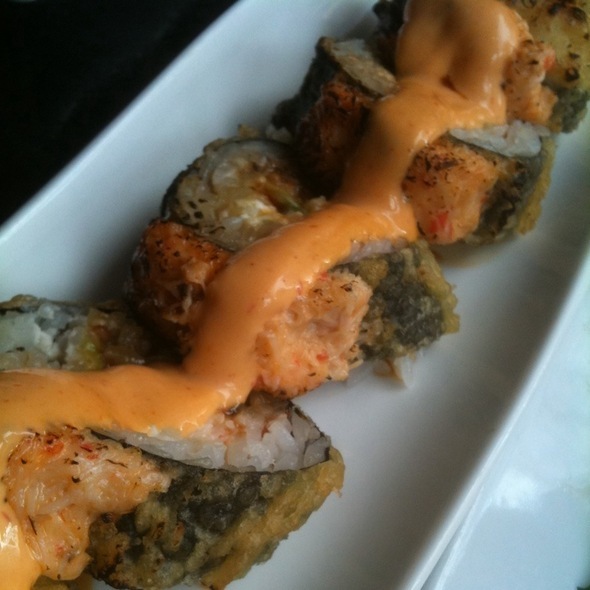 The Super Bad Boy Roll at Japonessa with crab, eel, avocado, cucumber, tempura battered, topped with spicy crab, chile sauce, and teriyaki glaze. I am packed and ready for my trip to Denver. Bryan and I leave work early to fly into the Denver airport, where we will spend a night at his friend’s Kim and Mark in the city before driving out to Breckenridge to stay in a condo with four of his other friends for the wedding on Sunday. 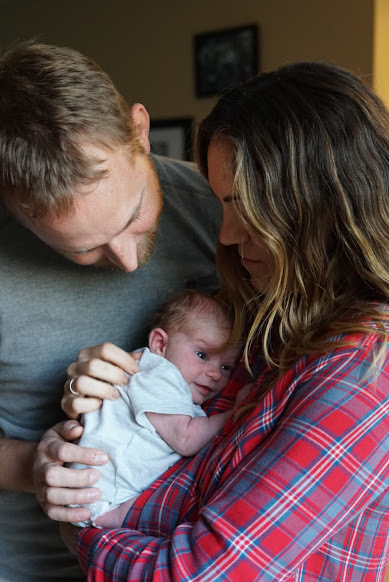 From the sound of it the wedding will be intimate, the location will be beautiful, and the game against Alabama will be watched (it better be). I’m looking forward to it! !